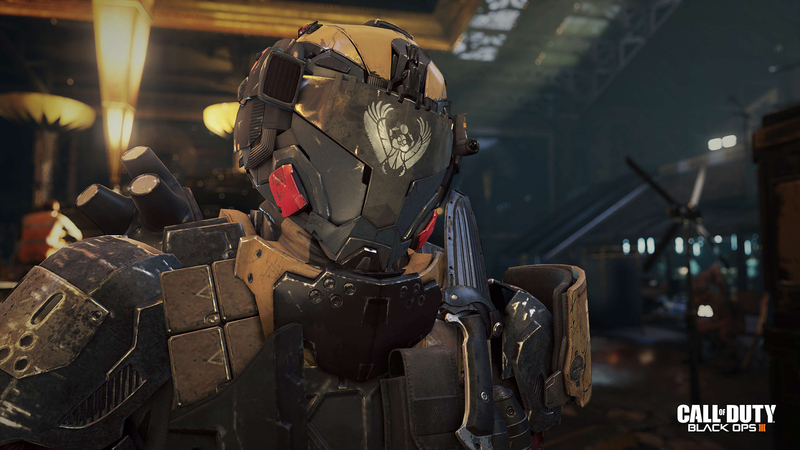 Some new screenshots have emerged for Call of Duty: Black Ops 3, depicting some of the game's augmented soldiers and robots that make up part of the armed forces in the upcoming game. 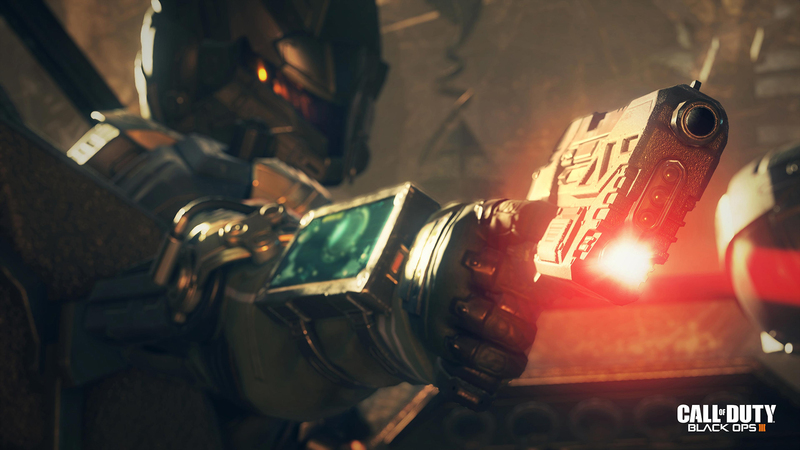 One of the images shows a fully armored soldier with a futuristic looking pistol with a red laser sight on it. 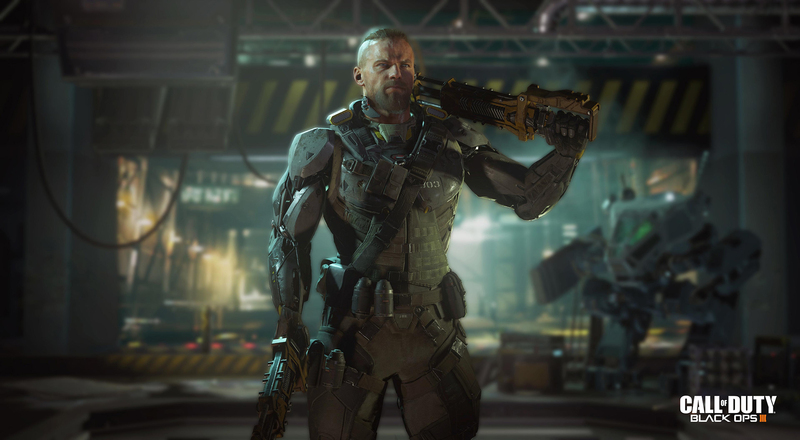 It's an alternate view of another similar image with a fully armored soldier with a pistol that has a laser sight on it – an image that was actually part of the big reveal trailer for Call of Duty: Black Ops 3. Two other images give gamers a glimpse at some of the weaponry they'll be able to commandeer, including a truck-mounted, smart-launcher. It's basically an automatic rocket launcher that has a feed of rockets attached to it on the side. 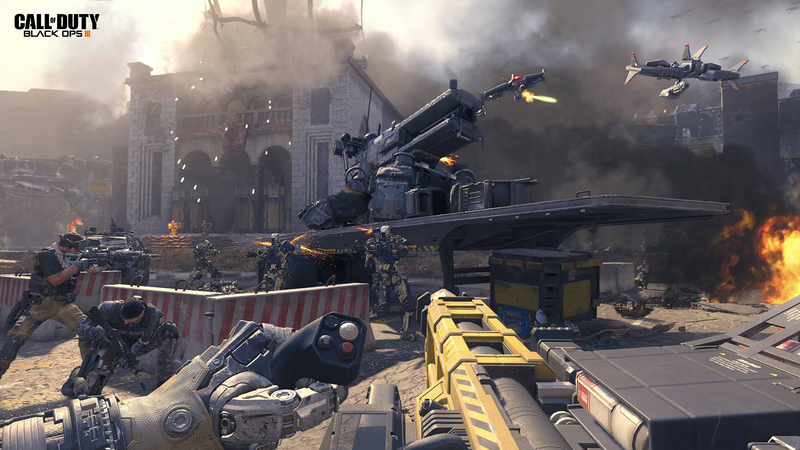 While a weapon like this would usually be considered stark fantasy, the reality is that within the confines of the world devised for Black Ops 3 players are utilizing bionic upgrades and sporting augmented limbs. As evidenced in the one shot, the player-character has the modified arms to wield the auto-rocket with little to no problems. What's interesting is that the second image showcasing the mounted rocket launcher is that it appears as if players might get a ride in the back while blasting things down with the weapon. 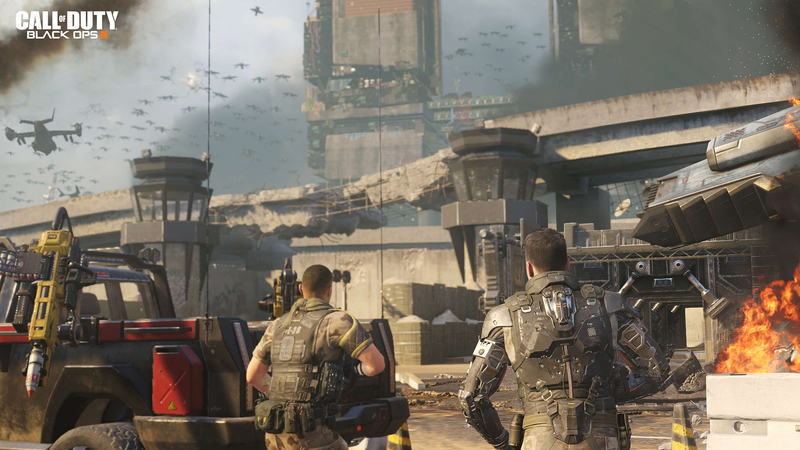 What would be really cool is if Black Ops 3 offered players the opportunity to utilize the weapon and the truck in the multiplayer mode. 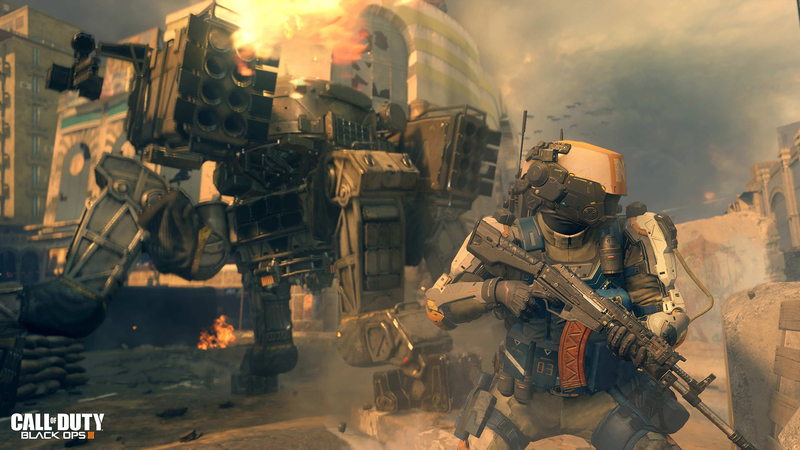 Of course, vehicles in multiplayer is a tall order that hasn't really been very present in Call of Duty games with the exception of some drone controls, tactical strikes or the minimal usage of mechs in Call of Duty: Advanced Warfare. Speaking of mechs, we get to see the hulking, armored devices in action. The one screenshot shows one of the mammoth war-machines – generously referred to as a quad-tank – firing off one of its many rocket pods during the middle of the battle, all while a soldier holding what looks like a modified, futuristic Kalashnikov looks off into the distance as fire, dust and smoke blacken the sky. I do wonder if the mechs will go down to normal arms fire or if they can only be destroyed with high-powered rifles and explosives? If it's the latter then that could be very interesting, since players would have to utilize team work to get in close to take down the massive mechanical beasts. Another shot shows an augmented soldier holding what looks like two melee weapons, one in each hand. He's just hanging out in a hangar where a mech sits in the back. The general theme of the screenshots appears to be super-soldiers and mechs. 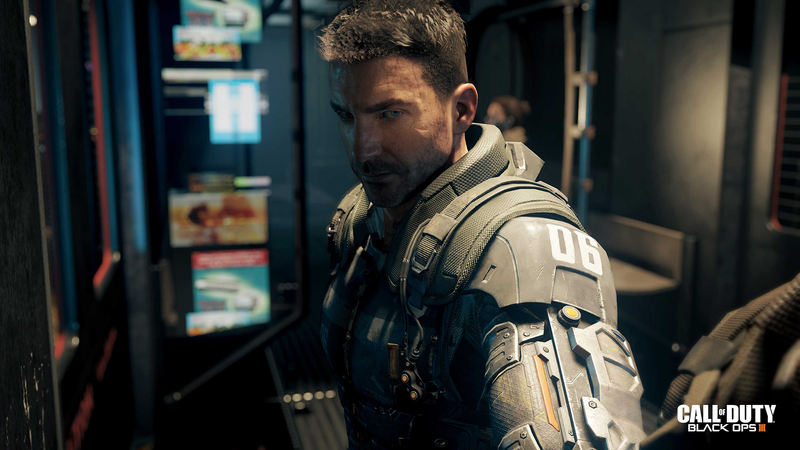 Call of Duty: Black Ops 3 is due for release this fall for PlayStation, Xbox and PC platforms.